From distinguished scholar Donna M. Mertens, this book provides a framework for making methodological decisions and conducting research and evaluations that promote social justice. The transformative paradigm has emerged from—and guides—a broad range of social and behavioral science research projects with communities that have been pushed to the margins, such as ethnic, racial, and sexual minority group members and children and adults with disabilities. Mertens shows how to formulate research questions based on community needs, develop researcher–community partnerships grounded in trust and respect, and skillfully apply quantitative, qualitative, and mixed-methods data collection strategies. Practical aspects of analyzing and reporting results are addressed, and numerous sample studies are presented. 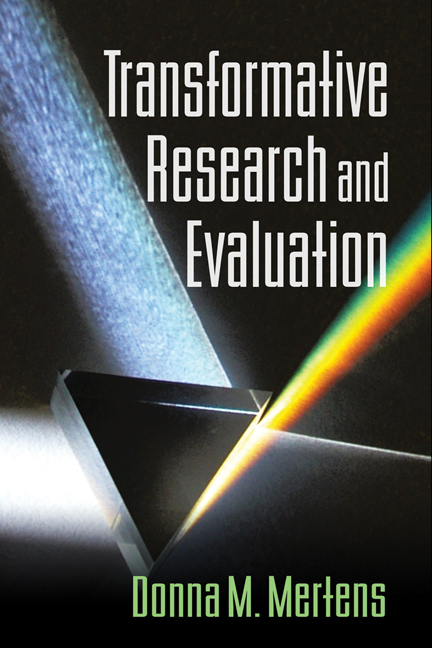 Commentary on the sample studies that explains what makes them transformative. Explanations of key concepts related to oppression, social justice, and the role of research and evaluation. Questions for Thought to stimulate critical self-reflection and discussion. Advance chapter organizers and chapter summaries.